Stonington — The town began demolishing the dilapidated Connecticut Casting Mill in Pawcatuck Monday night after a storm dumped rain onto its failing roof, causing sections of the building along the Pawcatuck River to collapse throughout the day. “Because of the threat to the public health and safety, demolition work on the building will commence as soon as possible,” First Selectman Rob Simmons announced shortly before a crane began taking down the building. After the town received emergency state approval to take down the building Monday, Simmons said the state Department of Energy and Environmental Protection provided the town with a system to protect the river from demolition debris. In addition, material that has already fallen into the river will have to be removed. It is unknown what environmental contaminants in addition to asbestos are in the structure. “There’s no telling what’s in there,” Simmons said. He said one of the challenges of demolishing the building is making sure more of the building does not fall into the river, which recently was designated a wild and scenic river by the federal government. He said it is also important to prevent dust from the debris from creating an environmental hazard in the adjacent neighborhoods, especially if the remaining structure suddenly collapses. Simmons said early Monday night that an engineer was on site testing air quality, and a team of about 25 Pawcatuck firefighters were hosing down the building to keep debris from getting in the air as the walls and roof came down. Simmons said the demolition and cleanup will cost the town an estimated $600,000, likely taken from its undesignated fund surplus set aside for emergencies. He said the building owner did not respond to a dozen calls from town officials on Monday and the town will try to recoup the cost from the owner or the state. The collapse has forced the town to close the Stillman Avenue bridge, one of three bridge links between Pawcatuck and Westerly. The town has posted a police officer at the site and a section of Stillman Avenue is closed. In 2005, the Planning and Zoning Commission approved a plan by a Worcester, Mass., redevelopment firm to build 15 condominiums in the 18,000-square-foot, four-story brick mill at the north end of the site along the Pawcatuck River. An additional 24 units would have been located in two new buildings. Those plans never came to fruition, and current owner Pawcatuck Landing has been unable to line up money for environmental cleanup of what it said is PCB, lead, mercury and other industrial contamination on the 1.2-acre site. In January 2011, the roof of the southern portion of the mill collapsed, and the site has since become overgrown with the building in serious disrepair. For years there has been evidence that people have been trespassing in the building. Last October the Board of Selectmen approved a plan to apply for a $200,000 state grant to perform an environmental assessment of the mill. 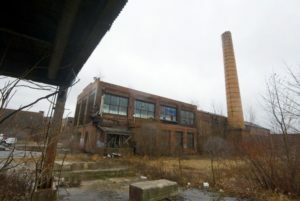 Simmons has said the mill owners have not only not proceeded with plans to redevelop the site, but have not paid taxes on the property for years and do not return calls from the town, effectively abandoning the site. The town was unable to sell the property at a tax sale, as there were no bidders. At a September forum, Pawcatuck residents told town officials they want the town to secure the site and take actions to help clean up and redevelop the property. “We prepared a report last year and then updated it earlier this year to deal with the issue of what will the town do if the building ends up abandoned,” Simmons said. 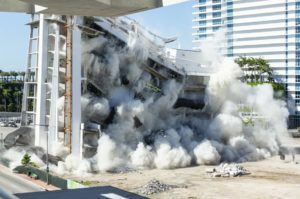 “We have anticipated that this might happen — not that the building would collapse, but that the town might have to take it over.